A challenge of critical proportions that plural societies today face—and this is a dilemma that has become one of truly global proportions—is the question of how people associated with different religious can, despite their different truth claims, live together in reasonable harmony. Underlying this is the vexed issue of inter-faith relations—of how each religion, despite its own respective claims to representing the ultimate truth, can be creatively interpreted to accept people who claim to follow other paths. For Muslims, as with followers of other monotheistic religions that make exclusive theological claims of representing the sole truth, this issue has continued to be deeply troublesome. The vexed relations between Muslims and others in large parts of the world owe, in part, precisely to this dilemma. 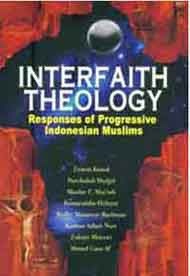 This book, by an Indonesian Muslim scholar, marvelously addresses this problem head-on, critiquing exclusivist and supremacist understandings of Islam while seeking to explore alternate understandings of Islamic theological resources in order to develop an Islamically-grounded theology of harmonious inter-faith relations. Surveying the corpus of traditional Muslim jurisprudence or fiqh, Kamal argues that it is unable to accommodate the vital inter-faith question that we are today faced with. This is because, he writes, traditional fiqh is premised on an antagonism towards others and their truth claims, refuses to respect or even acknowledge them, and views other religions and communities with contempt. It actively seeks to discredit other religions completely, and so, obviously, is not conducive to dialogue and harmonious relations between Muslims and non-Muslims. Hence, there is an urgent need, Kamal says, to transcend the views of the earlier ulema on these matters by engaging in a process of creative, contextual interpretation or ijtihad in order to make fiqh formulations on inter-community and inter-faith relations relevant to our new context. This, he cautions, might be wrongly portrayed by narrow-minded critics as an attack on the Islamic shariah itself, but he hastens to point out that this would be far from true, indicating the clear distinction between the shariah as the divine path, on the one hand, and fiqh as a cumulative, historical and human enterprise, on the other. While the former is immutable, the latter can, indeed should, change, based on the recognition that, being a human product, it is liable to error. Pre-empting his critics, he argues that we need to recognize that the fuqaha, scholars of fiqh, were products of their own times and contexts, and, hence, were not infallible. He castigates the tendency to glorify, as unchangeable and immutably Islamic, the corpus of medieval fiqh and its creators, calling for developing fiqh rules appropriate to today’s times, including on the issue of inter-faith relations. To refuse to do so, he rightly indicates, would only lead to further stagnation of Muslims and to widening the existing conflicts and suspicions between Muslims and others. Kamal spells out a broad methodology to be followed to promote this exercise of ijtihad in matters of fiqh related to inter-faith relations. The project should be based on a clear understanding of the higher principles of the shariah (or what is called maqasid al shariah), and on what Kamal terms as an anthropocentric (or ‘human-oriented’), as opposed to a theocentric, approach to religion. The latter, he warns, is easily amenable to exclusivist, intolerant and authoritarian tendencies and is liable to be misused to generate hatred against others. In this regard, he also supports the proposal by the notable Egyptian Sunni scholar, Yusuf al-Qaradawi for what he terms fiqh al-waqi’ ( or ‘fiqh of reality’) and fiqh al-awlawiyat (‘fiqh of priorities’) that can better solve crucial humanitarian problems, including that of strained relations between Muslims and others. Altogether, what Kamal pleads for is a dynamic, inclusive and egalitarian fiqh, shorn of exclusivist, hierarchical and discriminatory provisions. This, what he calls fiqh al-maqasid or ‘fiqh of higher aims’, would, he writes, prioritise universal human values that apply to all peoples, irrespective of religion, such as public interest, justice, and equality. In this regard, he critiques the corpus of inherited fiqh for ignoring the ‘higher aims’, for not placing sufficient stress on public (and this includes the non-Muslim public) interest, and, therefore, of become static, frozen in time and degenerating into a tool for power. The new fiqh with regard to inter-community relations that Kamal calls for would, he says, be sensitive to the fact of ritual heterogeneity. It would be based on the understanding that rituals are secondary to good deeds and faith in one God, which can form the basis of a minimum common consensus among believers in different religions. It would reflect the understanding that it is erroneous, as Kamal says, to brand others as unbelievers and infidels simply because they worship in other ways, provided of course they do not engage in shirk or associationism. This new fiqh would also need to critically re-examine some traditional fiqh formulations on a host of issues with regard to non-Muslims, such as greeting and befriending them, praying with them, allowing them to enter mosques and inter-marriage. Some of the traditional fiqh prescriptions in these matters, he says, are clearly hostile to non-Muslims, although without any Quranic warrant. In this regard, Kamal points out the need to need critically and contextually examine and reject certain fake hadith reports on which these hostile fiqh prescriptions are based. To truly uncover the hidden universalism of the Quran—something indispensable to develop a truly inclusive Islamic fiqh and theology vis-à-vis people of other faiths— Kamal insists that the Arab cultural trappings that have wrongly come to be associated with Islam need to be removed, so that Islam can be seen and expressed as what it really is—a truly universal creed not tied down to any particular culture or historical tradition. Overall, the veritable paradigmatic shift in fiqh on inter-community relations that Kamal advocates reflects a rejection of crucial aspects of the corpus of fiqh of what he calls Muslim communal supremacy, devised during the medieval period of Muslim imperium, in favour of a new fiqh attuned to today’s plural context, thus reflecting a proper fit between the law and social realities. Alongside with the reformulation of fiqh prescriptions on inter-faith relations, Kamal pleads for what he calls a plural Islamic theology—a contextually-relevant theology of Islamic pluralism in place of the current theological exclusivism that still has wide currency among Muslims across the world. The seeds of this plural theology, he writes, lies in the very notion, so strongly stressed in the Quran, that the religion (al-din in Arabic) taught by all the prophets of God, from the first to the last, has been one—called in Arabic al-Islam or the ‘The Surrender’ [to the one God], although the message of some prophets differed in some aspects of the path or shariah and method or minhaj. Another pillar of this plural theology is the statement, so clearly mentioned in the Quran, that had God wanted to, He could have made mankind one community. Hence, Kamal says, religious pluralism is part of God’s plan. A third pillar of this plural theology is the insistence, so consistently stressed in the Quran, that Muslims must believe in, and make no distinction between, all the prophets, considering them all equal. Striking at the roots of theological exclusivism, Kamal points out that the Quran does not present paradise as solely for Muslims alone. Nor does it claim that all Muslims are destined for paradise. Further, the Quran places stress not on rituals but on faith and good deeds in God’s eyes. It fervently opposes all forms of communalism, even Muslim communalism, its open, inclusive approach being clearly evident when it calls upon Jews and Christians to come together with Muslims on the basis of kalimatun sawa, a common platform based on faith in the one God. When the Quran specifies Islam as the din al-fitra, or religion of nature, and insists that no other religion than this Islam is acceptable to God, it is, Kamal writes, yet another statement in favour of universalism in that it indicates the religion submission to and obedience of God alone, implying that all those who submit to and obey God are ‘Muslims’ or those who surrender themselves to God, no matter what they call themselves and in which language. Kamal draws on other Islamic scripturalist resources to build up his case for a meaningful Islamic theology of pluralism. Thus, for instance, he discusses the category Ahl-e Kitab, and points out that Islam requires Muslims to protect, rather than subjugate, such people, highlighting the Charter of Medina that brought together the Muslims under the Prophet and the Ahl-e Kitab of Medina as a model in this regard. Likewise, he subjects the terms kafir and muslim to intense scrutiny, showing, contrary to widely-held beliefs, that these are not to be understood in a communal sense, not being the labels of any communities. Rather, he writes, these are attributes or attitudes, and can be characteristic of any people in any community. Of course, reformulating fiqh and developing more inclusive Islamic theologies are not enough for the enormous task of promoting better relations between Muslims and others, although they are a necessary ingredient. Kamal insists that Muslims from all walks of life taken an active interest and role in forms of inter-faith and inter-community dialogue—not just at the theological level, but, equally importantly, at the day-to-day level as well, working together with people of other faiths for a better, more peaceful, just, egalitarian and God-centred society, in which way they can truly express a contemporary understanding of Islam.